Search Influence, the Gulf Coast’s largest online marketing agency, has been named a Best Place to Work by New Orleans CityBusiness in its 14th annual survey. To be considered, Search Influence had to complete an extensive nomination form disclosing workforce data such as salaries, benefits, retention levels, and employee advancement. Then, company employees had to complete a survey to measure workplace culture. CityBusiness selected 35 honorees in the large company category (more than 50 employees) and 15 honorees in the small business category (fewer than 50 employees). With almost 80 full-time employees in New Orleans and 100+ contracted writers, Search Influence is an honoree in the large company category. All 50 companies chosen will be honored at an awards event on Friday, Dec. 2. The top three large and small companies will be announced at the event. This is the second time Search Influence has been named a Best Place to Work in New Orleans; the first time was in 2012. “Every day, all team members have the opportunity through KUDOS cards to recognize their colleagues when they demonstrate a core value,” added Angie Scott, COO and co-founder of Search Influence. “This daily recognition has created an atmosphere where people feel valued and appreciated. The best Kudos cards are chosen, and those team members get gift cards to area businesses,” added Angie. To keep CHARGED top-of-mind, Search Influence created posters, banners, and mouse pads, which can be found all over the office. Inc. magazine today included Search Influence on its 35th annual Inc. 5000, an exclusive ranking of the nation’s fastest-growing private companies. The list represents the most comprehensive look at the most important segment of the economy—America’s independent entrepreneurs. Companies such as Yelp, Pandora, Timberland, Dell, Domino’s Pizza, LinkedIn, Zillow, and many other well-known names gained early exposure as members of the Inc. 5000. The Inc. 5000 is a list of the fastest-growing private companies in the nation. Started in 1982, this prestigious list of the nation’s most successful private companies has become the hallmark of entrepreneurial success. “We’re thrilled that what started in a spare bedroom after Hurricane Katrina has now grown into one of America’s fastest-growing private companies. We love that we are based in New Orleans and are proud that Search Influence now employs almost 80 of the area’s best and brightest,” said Will Scott, CEO and co-founder of Search Influence. “We hire smart, local people and train them to be expert online marketers,” said Angie Scott, COO and co-founder of Search Influence. Depending on their role, new employees receive 40-60 hours of training during a 3-month onboarding process. “It is important to us that our staff understands online marketing and can offer true solutions to help grow our customers’ businesses,” added Angie. For more information about Search Influence or for a listing of open job opportunities, please visit www.searchinfluence.com. Will and Angie Scott, founders of national online marketing company Search Influence, were named to the Silicon Bayou 100 list of most influential leaders in Louisiana’s startup, entrepreneurial, tech and digital communities. The Silicon Bayou 100 List, published by Silicon Bayou News, recognizes the most active and influential entrepreneurs and technology innovators in Louisiana today. This award recognizes both Will and Angie’s commitment and dedication to progress technology in the New Orleans area. Their achievements over the last 10 years have made them a stand out in the Silicon Bayou 100 List alongside other influencers across the state. Will, Angie and their team provide a full-service approach to search, social and online advertising having helped nearly 30,000 clients with 47 resellers and was New Orleans’ only Inc. 500 honoree in 2011 and an Inc. 5000 honoree in 2012 and 2015. Search Influence is a Flyover 50 Winner, Winner of the American Marketing Association’s 2012 Marketing Awards of Excellence (MAX), and has 5 in-house Google Adwords, Google Analytics and Bing Ads Certified representatives. “Our future has never been brighter, and we are excited to be a part of it,” Will added. NEW ORLEANS, La. — Search Influence recently celebrated its 10-year anniversary by giving away $10,000 worth of free online marketing services to one New Orleans-based business in its “Make Your Dreams Come True” 10K Giveaway. New Orleans Shotokan Academy won the contest by receiving the most number of votes via Search Influence’s Facebook page between December 28, 2015, and January 8, 2016. Other finalists included Jolie & Elizabeth, Red Stick Gutters, Offbeat Media, and Prevent Child Abuse Louisiana. “We are happy to be celebrating 10 years in business and are thrilled that we can offer another small business the chance to grow,” said Will Scott, CEO and co-founder of Search Influence. “New Orleans Shotokan Academy will be able to redeem the $10,000 prize for online marketing services, including search engine optimization (SEO) and social media management,” he added. Search Influence began operating out of a spare bedroom after Hurricane Katrina and has now grown to be the largest online marketing company on the Gulf Coast. It employs 85 full-time employees in New Orleans and 150 contract writers. A company timeline can be viewed here. Angie Scott, co-founder and COO of Search Influence, was recently named a 2015 Woman of the Year by City Business. She, along with other nominees, were honored at the 17th annual “Women of the Year” luncheon for their professional and community achievements. Angie founded Search Influence in collaboration with CEO Will Scott in 2006. She has since led Search Influence to become nationally recognized as the largest online marketing company on the Gulf Coast. Search Influence currently has 88 full-time employees and 124 contract writers supporting direct and white label customers. It reported revenues of $5.85 million in 2014 and experienced a five-year growth rate of 183 percent from 2010 to 2014. The Initiative for a Competitive Inner City (ICIC) and Fortune announced that Search Influence was selected for the 2015 Inner City 100, a list of the fastest-growing inner city businesses in the U.S.
Search Influence ranked 51 overall on the list of 100. Search Influence, the largest online marketing company on the Gulf Coast, reported 2014 revenues of $5.85 million and a five-year growth rate of 183 percent from 2010-2014. It is one of only two Louisiana companies that made the list of rapidly growing urban businesses. ICIC’s Inner City 100 program recognizes successful inner city businesses and their CEOs as role models for entrepreneurship, innovative business practices and job creation in America’s urban communities. “We’re thrilled that what started in a spare bedroom after Hurricane Katrina has now grown into one of America’s 100 fastest-growing inner city companies. We love New Orleans and are proud that Search Influence now employs 88 of the area’s best and brightest,” said Will Scott, CEO and co-founder of Search Influence. “The key to our success has been hiring local people with roots in the city and training them to be expert online marketers,” said Angie Scott, COO and co-founder of Search Influence. Depending on their role, new employees receive 300-500 hours of training during a 3-month onboarding process. “It is important to us that our staff understands online marketing and can offer true solutions to help grow our customers’ businesses,” added Angie. Search Influence also offers internship opportunities to local high school students. For the fifth time, tech company Search Influence has made the just-released Inc. 5000 list of the fastest-growing private companies in America. Only a tiny fraction of the nation’s companies demonstrate such consistent high growth, particularly in the difficult economic environment of the past few years. Search Influence is the largest online marketing company on the Gulf Coast and is located in the thriving New Orleans technology sector. In fact, the company is helping to shrink the gender gap in tech. New Orleans—not Silicon Valley—is one of the best cities in the nation for women in tech, according to a new survey from SmartAsset analyzing data from the U.S. Census Bureau. New Orleans has the second highest percentage of women in tech—36.5 percent—of any city included in the study. At the downtown offices of Search Influence, females make up an astounding 65 percent of workers as of August. “We’re excited to be included again in the Inc. 5000 list. Our growth is a testament to our focus on cultivating the best and brightest. This year we’re particularly pleased to be among New Orleans tech firms that are leaders for women in tech with 65 percent female staff,” said Will Scott, CEO and co-founder of Search Influence. “Over the last 15 years in the tech industry in New Orleans, I always felt supported to have a family and be successful at work and we, at Search Influence, find this to be an important balance, too,” said Angie Scott, COO and co-founder of Search Influence. Search Influence was founded in 2006, by the husband-and-wife team in the wake of Hurricane Katrina. The couple bootstrapped the company from the ground up rather than funding the company through outside investors. What started in a spare bedroom has now grown into one of America’s fastest-growing private companies. “The mission of Search Influence is the same as it’s always been. Regardless of our growth, we’re still focused foremost on helping businesses succeed online. In the beginning it was search engine optimization, but our tools have grown over time to include content, social media, online advertising and more,” Will Scott said. Search Influence is a national, full-service online marketing company based in New Orleans, La. The only New Orleans firm on the 2011 Inc. 500 list of America’s fastest-growing private companies, Search Influence is the largest online marketing company on the Gulf Coast. It has hundreds of direct and partner customers, including local merchants and clients in the automotive industry, law, plastic surgery, cosmetic dentistry and dermatology industries as well as publishers and Yellow Pages companies who provide SEO and other online marketing products for their advertisers. 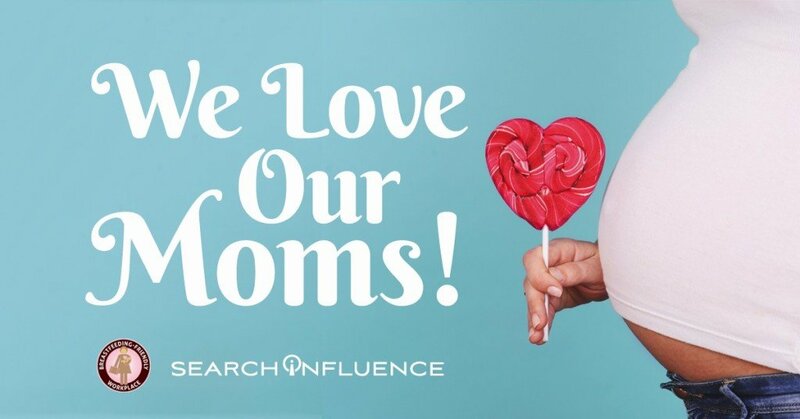 Search Influence, the largest online marketing company on the Gulf Coast, has been designated as a Breastfeeding-Friendly Workplace Champion—one of only 24 businesses in the New Orleans area to receive the honor. The designation comes jointly from the Louisiana Breastfeeding Coalition and the Mary Amelia Women’s Health Center at Tulane University. At Search Influence, employees who are new mothers can take advantage of a designated private breastfeeding/pumping room featuring a chair and storage fridge. “The presence of such convenient accommodations has been critical to my transition back into the workplace. I am extremely grateful to Search Influence for playing an important role in allowing me to continue to breastfeed my baby,” said Erica Rench, production manager at Search Influence. “I really appreciate the accommodations Search Influence has made in allowing me to continue to breastfeed my child while returning to work,” said Maggie Emerson, account manager at Search Influence. A written policy to support workplace lactation that meets minimum federal law requirements. For organizations interested in becoming a Breastfeeding-Friendly Workplace, applications are available online. Paula Keller, Director of Account Management for national online marketing company Search Influence has been named a Bronze Stevie® Award winner in the Customer Service Manager of the Year category in the 8th annual Stevie Awards for Sales & Customer Service. More than 1,200 nominations from organizations of all sizes and in virtually every industry were submitted this year for consideration in a wide range of categories, including Customer Service & Contact Center Individual, Customer Service & Contact Center Team, Customer Service & Contact Center Achievement, and Customer Service Department, among others. New Orleans-based online marketing company Search Influence announced today that one of its co-founders, Angie Scott, who also serves as COO, has successfully completed the intensive 10 session course to help train and develop area leaders in technology and entrepreneurship in Louisiana. The course is a total of 10 sessions where qualifying local business owners can hone their skills and strategies to grow their businesses. This was especially valuable for Search Influence because they help businesses grow online through search engine optimization (SEO), online advertising, social media marketing, and a full-range of online marketing services.